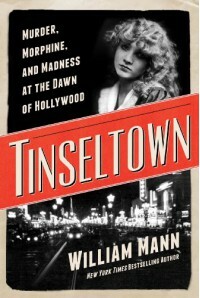 After reading the synopsis, I was under the impression this book would focus entirely on William Desmond Taylor's. Instead, while Taylor's murder serves as one major point, TINSELTOWN strays to other scandals and conflicts in early Hollywood. Branching from Taylor's story are the battle of wills between Zukor and Loew for position as top dog, the Fatty Arbuckle trials, and the dubious behavior of various starlets tied to Taylor. Taylor's murder was never officially solved, though the author offers one plausible theory. It's fascinating to read of how some actresses supplemented their work income, but overall the book is slow to read through. If you were expecting Taylor as focus, you'll wade through other stories to get to the end.